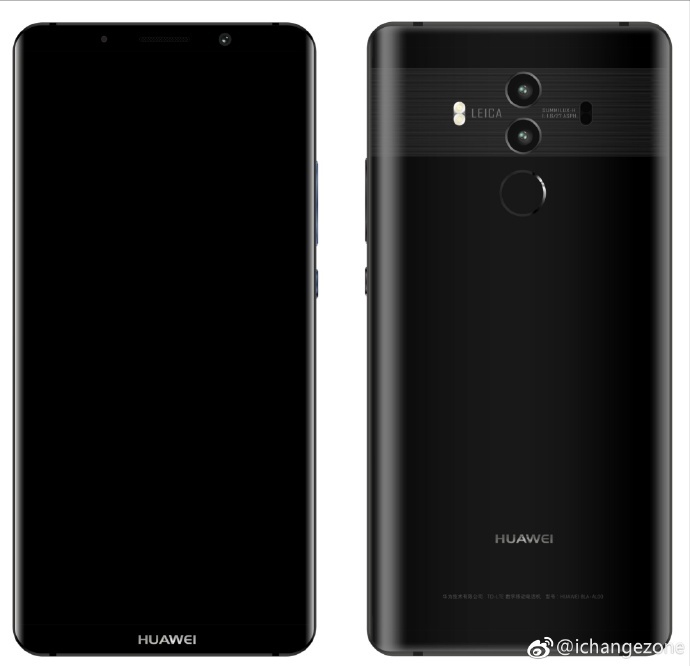 More Huawei Mate 10 Pro renders got leaked out - Playfuldroid! 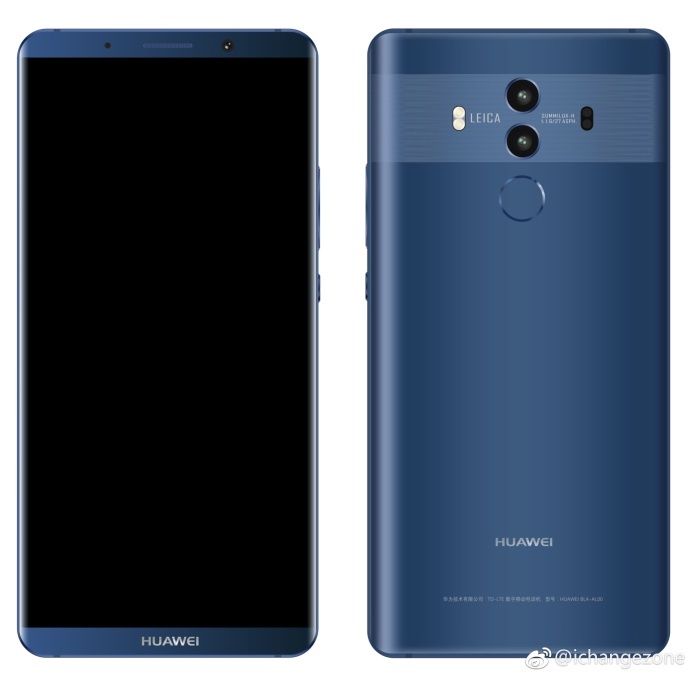 Recently, we’d just reported on a Huawei Mate 10 Pro render courtesy of serial leaker Evan Blass, which gave us a good look at the front and rear design of this highly anticipated flagship. Right now, more renders of this device had also been surfaced via Chinese Weibo as well. As seen from the two images above, the device shows a close resemblance to what we’d seen earlier on except for the fact that the rear chassis we saw here looks rather glossy as compared to the earlier one, which shows a more more polished surface. Likewise, the front panel here also revealed a proximity sensor which is located near the top left corner of the handset. In case you do now know, these leaks came directly from Chinese leaker @ichangezone who had already established a decent track record for Huawei’s Mate series as well as the P series over the past few years. Needless to say, there will certainly be even more leaks on the Mate 10 series in the next few days given that we’re just nearly a week away from it official unveiling which had been set on October 16th.